Home→Uncategorized→INTRODUCING RANCH PRO’S NEW POD DATA SYSTEM! We are introducing a new service to our buyers and sellers to help get more data on our listings! 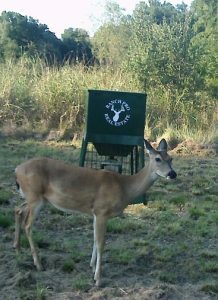 It is the Ranch Pro PODs to help collect wildlife data. We use these on our properties to get more info about what the property has to offer. Buyers will have a better understanding of what the land has to offer that they may not be able to see before purchasing a property. Now they can! This will also bring more buyers to our listing to improve turnaround times for our sellers. If you would like to know more about how we can help with your real estate needs contact us today. We are always looking for better and more effective ways the help our clients.